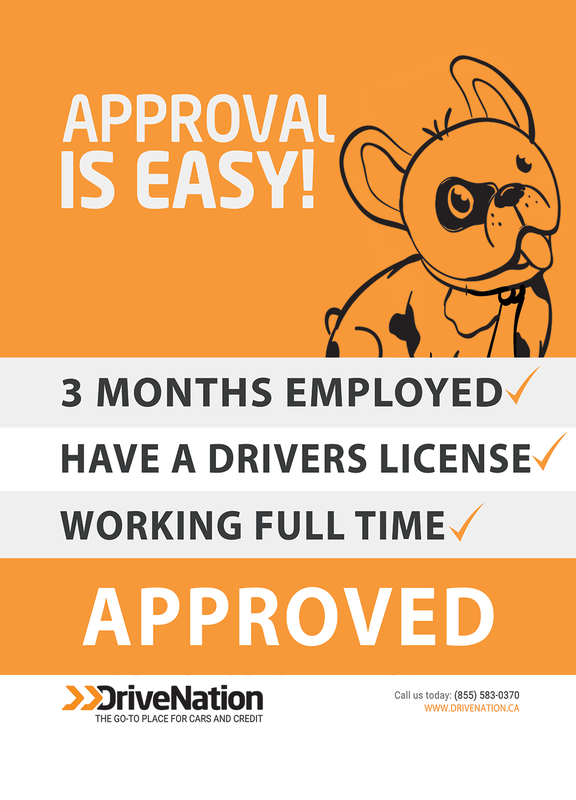 DriveNation | Blog | Approval is Easy! DriveNation is a Canada wide used car dealer and auto financier. We are your number one stop for pre-approved car loans and quality pre-owned used vehicles! Our non-commissioned staff is here to make your vehicle shopping experience fun, easy and financially advantageous, and our approval rate means that we guarantee you’ll drive away with a car loan – no matter what state your credit is in! No matter where you are located, DriveNation delivers anywhere! Apply today and see how easy it is!